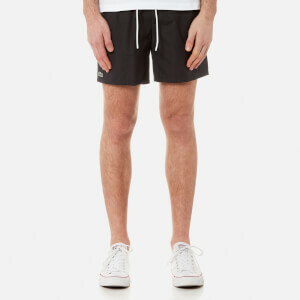 Men’s navy swim shorts from Orlebar Brown. Crafted from ultra-lightweight nylon with added stretch to allow for maximum movement, the ‘Jack’ sport swim shorts comprise a part-elasticated waistband with a snap fastening, zip fly and adjustable side fasteners. 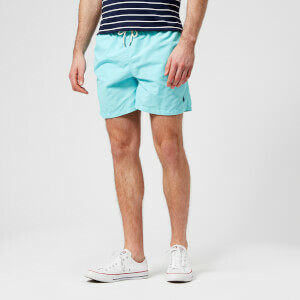 The versatile shorts fall to the mid-thigh and feature a contrasting mesh lining. Complete with angled side pockets, a zip secured pocket to the rear and Orlebar Brown branding at the side seam.